This is the first in a series of posts on the Planned Unit Development process. Our neighborhood has ongoing and planned PUD projects, and my goal is to help the community understand what this process involves and how you can get involved. Many residential or mixed use construction projects, whether carried out by a homeowner or a developer, can be done within DC's zoning rules. These are "by right" projects, which do not require zoning "relief." Other projects, those in which a homeowner or developer wants to exceed what's allowed by right, require additional review and approval, typically by DC's Board of Zoning Adjustment (BZA). 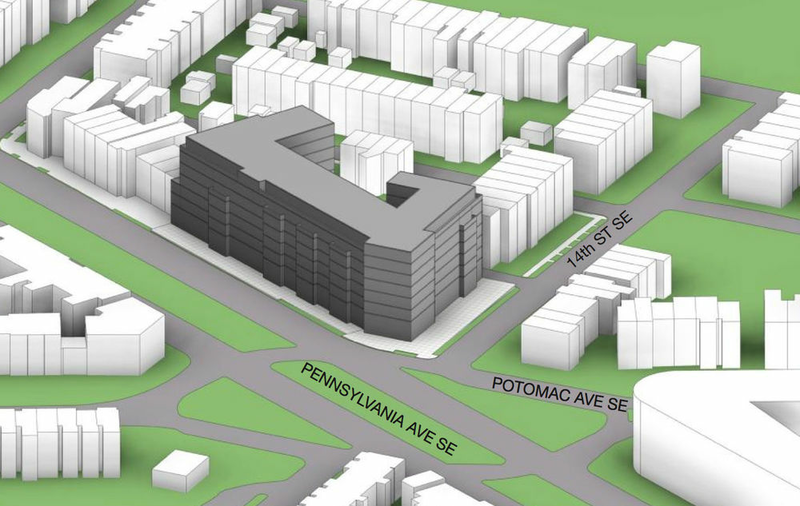 A third type of project, where a developer is seeking substantial relief from DC's zoning rules, is called a Planned Unit Development (PUD). PUDs arise when a developer wants to exceed what's allowed under the zoning rules in a significant way, such as higher density or taller building height. A PUD case can also occur when a developer wants to change the way a piece of land is zoned, such as from an industrial district to a residential or commercial district. The city can grant this relief if it believes the proposed project--with the deviations from matter-of-right zoning--will allow for a project that produces a superior development and public benefits. What do PUD cases mean for the community? The community can engage with any zoning case, through the ANC and through the relevant zoning agency, such as the BZA. Because a PUD is typically a larger project with more significant implications for the community in which it is located, PUD cases typically involve a longer and more detailed process of community engagement. Engagement often starts with the ANC, which can facilitate communication between the developer and the community. Another important feature of PUDs is that the developer is required to provide a benefits and amenities package to the community in exchange for the request zoning relief. This means community participation in the PUD process is critical. What is a benefits and amenities package? When a developer proposes a PUD project, they are asking for exceptions to the zoning regulations, and those exceptions, if granted, have value, since they allow the developer to build a larger or different project than would normally be allowed. In exchange for the additional value the developer receives, they are required to provide a suite of benefits and amenities to the community, which should be roughly equal to the value of the zoning relief. In general, District agencies involved in PUD cases prefer public benefits that are physical investments--playground equipment or bicycle racks--rather than "soft" investments, such as monetary contributions to a nonprofit organization. The rationale is that physical investments are relatively guaranteed to provide benefits to the community for the life of the investment, while soft investments may not always provide the intended stream of benefits (for example, if the nonprofit closes). PUD benefits can be located away from the development site, but they must be within 1/4 mile or within the boundaries of the ANC in which the PUD sits. Who is involved in reviewing a PUD case? Unlikely typical zoning cases, PUDs are managed by the Zoning Commission, which is a office within DC's Office of Zoning. The Zoning Commission is in charge of changes to the zoning regulations or zoning map, and it also manages the PUD application and approval process. Other DC government entities can provide recommendations to the Zoning Commission. These include the ANC in which the PUD project resides and the District's Office of Planning. In future posts I will walk through the PUD application process and timeline, provide examples of benefits and amenities packages from recent PUD projects, and talk about the proposed PUDs in Hill East.